Jesus promised us an abundant life. A life not measured by the amount of time spent here on earth. A life not measured by prosperity, health, occupation or material things. 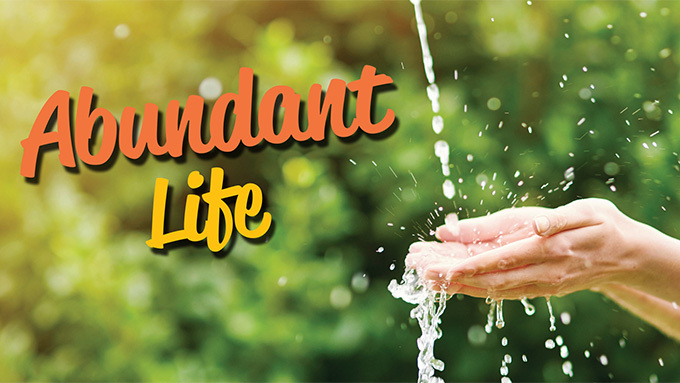 Abundant life is a life overflowing with the joy that comes from growing in our love for God and others. And the best part of all is when our abundance spills over into the lives of others, creating ripples that change the world. The Challenge for 2019—Make a financial commitment to support Southwood. If you have made a pledge in the past, please consider an increase in your support as our church continues to grow and expand. If you have never made a pledge, please consider doing so this year. Your commitment helps us plan, and is a personal sign of the faith you have in our Lord and his work through his church.